The other weekend I attended a local meet up. Not an event or invitation from a brand but a meet up arranged by some of our local bloggers. It had been in the planning for quite some time and Emma, Kirsty, Kirstie and Lianne worked tirelessly to bring it all together and make it happen. This was no small meet up either, some 40 bloggers had put their name down and everyone turned up! It was held at Manhattan 34, a trendy cocktail bar in the cultural quarter of Leicester city centre. The place was filling quite quickly and a few people had ordered this cocktail, I think it was called the secret garden and I wanted a piece of the action! Oh my, it was THE best. We were treated to a taster of sparkling rosé wine from Rothley wine estate, I do love a good sparkling wine and this was very drinkable!! 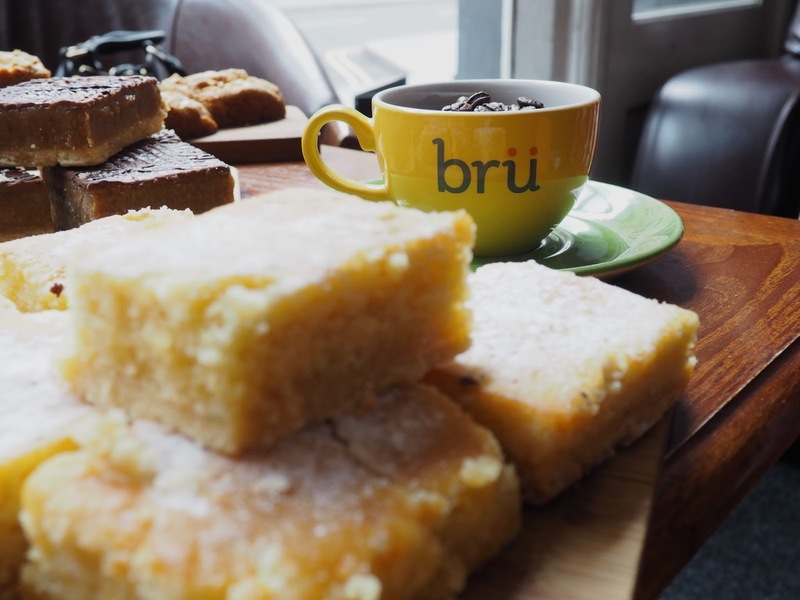 We also had some lovely delights from the team at Brü, perhaps THE best independent coffee shop in Leicester, who came with lemon drizzle (my favourite), brownies, millionaires shortbread and I'm not kidding you the pieces were humungous, great big slabs they were, I'm not complaining though! 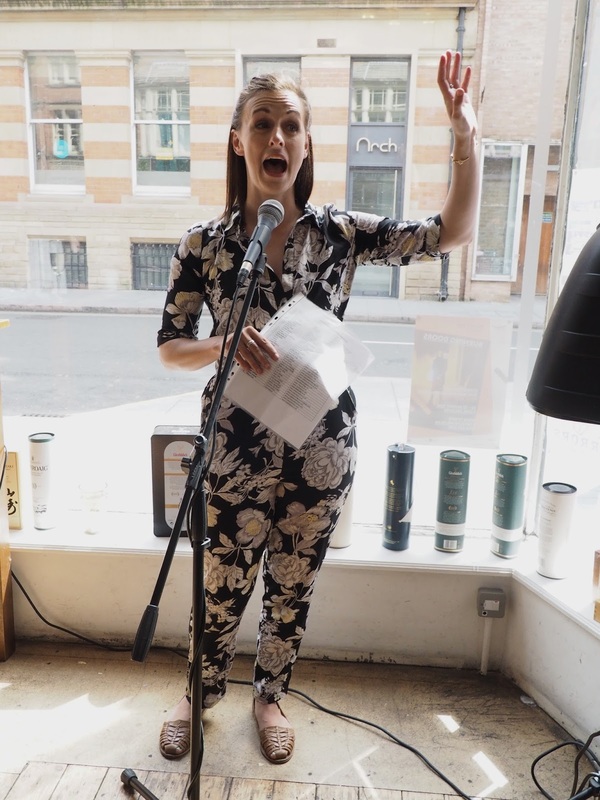 Whilst guzzling our cocktails and filling our faces we were entertained by a young singer, Becky Bruce. She had a beautiful voice and sang for most of the afternoon. The oh so lovely Emma guiding us through the events of the meet up. 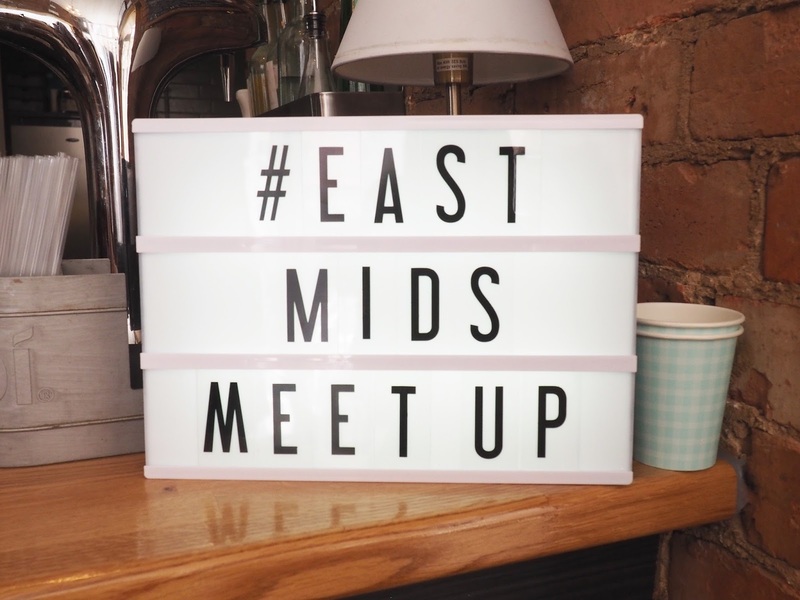 I know the girls felt strongly about it not just being a meet up for everyone to come together for a quick natter, chat to a brand or two, grab a goody bag and then run! They had invited some brands along but they also wanted the bloggers to get something out of the event, and to offer some inspiration. That inspiration came in the form of Gabby from Cool as Leicester PR who gave guidance on how to form great relationships with PR's and an insight into the PR side of things and two lovely ladies from Blogosphere magazine, talking about the magazine that's written by bloggers for bloggers. Both of the talks were very different but I have no doubt that all the bloggers in that room went away feeling a little more inspired and motivated. I know I did. Danique hair who I've visited and blogged about before were at the event to offer mini consultations and curl hair for those that wanted it, and the lovely ladies from Angel eyes were happy to apply their lash extensions to willing volunteers. I was not one of them, I was not taking my eye makeup off in front of 40 strangers, not a chance! Emma and the gang had also put together a fabulous raffle with proceeds split between two charities, Rainbows hospice and Bowel Cancer UK. Two very worthy charities indeed. A lot of companies had donated very generous prizes, many of which I praying I would win but sadly it was not to be. Damn, I wanted that happiness planner! It was a fabulous afternoon with chit chat, cocktails and the sun shone for us, what more could you ask for? !